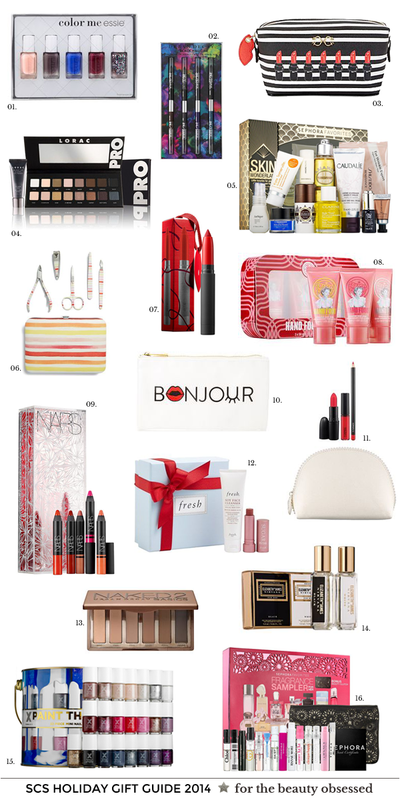 A couple of weeks ago, I shared my beauty wish list and today I have several more beauty-related gift ideas. Many of these are also on my list (you know the nail polish addict in me is heart-eyed over that Formula X set) or items that I think would make good gifts for people in my life. I also love the idea of the Sephora Favorites sets that were released for the holidays because you get to sample a bunch of great brands at a fraction of the price. Speaking of shopping, who’s gearing up for Black Friday? I don’t plan to go to any stores (it’s way too crazy out there for me), but I will be browsing the deals online and possibly sharing some of favorite deals on twitter. I’m hoping that I can order a few things and knock a couple of gifts of my Christmas shopping list. To those who celebrate, I hope you have a wonderful Thanksgiving and good luck to all the Black Friday shoppers. I’ll see you guys back here next week! For the past six years, I’ve been going to my friend’s house in Brooklyn for Thanksgiving and spending the day/weekend with her family. Since I moved to the East Coast, I haven’t been able to spend Thanksgiving with my family because it’s rather expensive to fly back to CA for such a short time. I’m really grateful to my friend’s family for taking me in and giving me a home away from home on Thanksgiving day. For the past couple of weeks, my friend and I have been pinning recipe ideas. This year there will be a few of us friends staying at her family apartment. I usually head over on Wednesday night so we can finalize the recipes we plan to make and have a sleepover. Then on Thanksgiving day, we spend all day in the kitchen listening to Frank Sinatra (our fave) and cooking. Here’s an outfit I would wear on Thanksgiving. It’s loose and comfortable because of course you have to leave room for all the delicious food you’ll be eating. I love this cozy cardigan and cranberry-colored shift dress. I think the gold heel on these sling-back flats is really pretty. 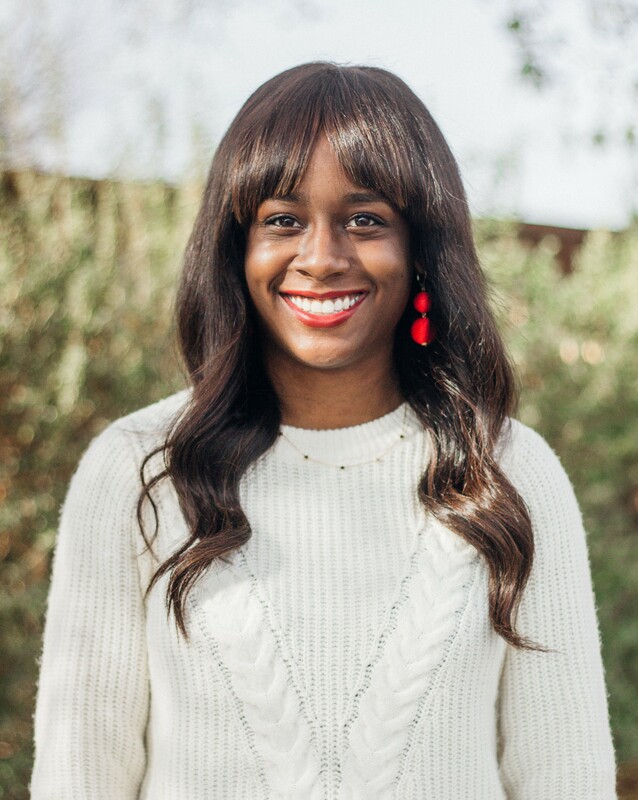 I took a cue from that detail and paired this outfit with gold accessories, like this long pyramid chain necklace and these golden cluster earrings. Thanksgiving is one of my favorite holidays and I’m really looking forward to it, along with the days off work. I’ll be back on Wednesday with another gift guide and then I’m going to take the rest of the week off to relax. Tell me: For those who celebrate, what are your Thanksgiving plans? In keeping with the theme of Wednesday’s post, I wanted to share a few holiday card ideas. I like to choose my holiday cards early so I have plenty of time to write and mail them out before Christmas. When I was younger, I always used to help my mom send out the family Christmas cards and now that I live on my own, I really enjoying sending out my own set of cards. I have a list of people that I want to send them to and I always like to have a few extras on hand in case I’ve forgotten anyone. Last year I went with custom holiday cards from Zazzle, but this year I think I’m going to purchase a set like one of the options above. If you want to participate in a holiday card exchange, Tracy and Jessica are organizing one and today is the last day to sign up! Tell me: Do you send out holiday cards? 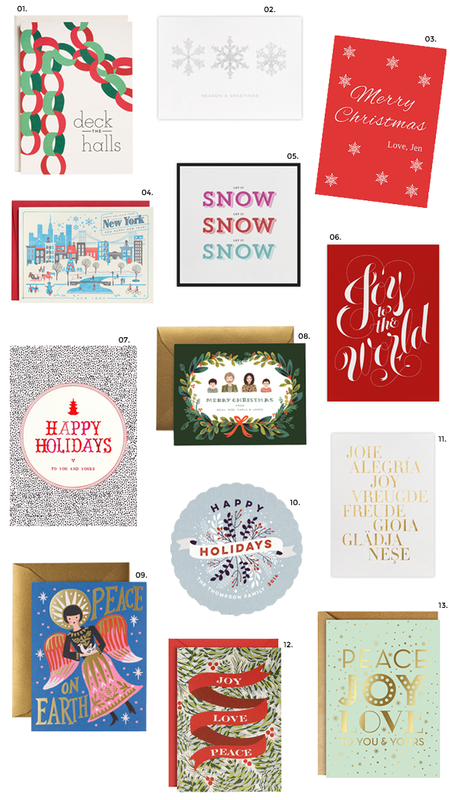 P. S. Minted also has tons of options if you’re looking to do custom cards and right now they’re doing 15% off all holiday cards with the code HAPPYHOL15. I’m finding it hard to contain my excitement over here! If you’ve been following me for a while, you’ll know that I absolutely love this time of year. I also love putting together gift guides and today I’m kicking off my gift guide series. Over the next few weeks, I’ll be sharing at least one gift guide per week, most likely on Wednesdays. I have so many ideas that I might end up doing more than one a week! This year I’ll be switching it up a bit and grouping them by category, but all of my picks will be budget friendly. Nothing will be over $75 and most things will be much less than that amount. 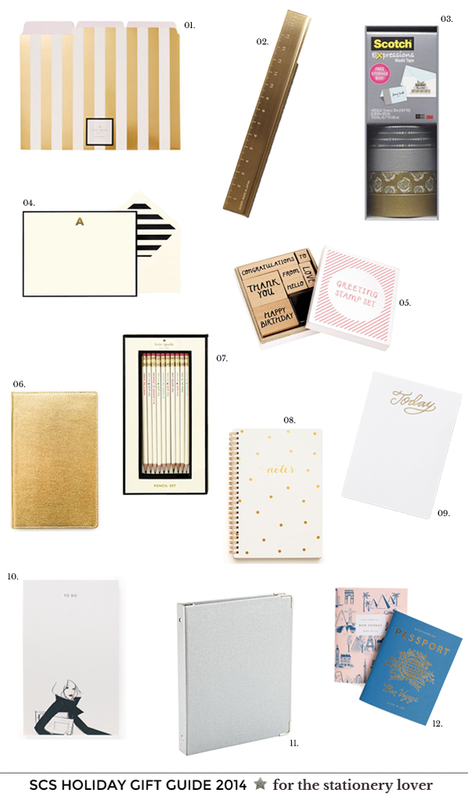 Today we’re starting with ideas for the stationery lover. I love all things paper and it’s a well-known fact that I can’t say no to a pretty notebook. If you have a friend who enjoys handwriting notes and stocking her office with pretty supplies, then I think you’ll find a few good ideas here. I hope you enjoyed this first gift guide and let me know if there are any specific categories you want to see! Tell me: Have you started your holiday shopping or is it too early for you to even think about it?